In today’s podcast, we are joined by Greg Ligon. Greg is a Vice President at Leadership Network, and also runs a consulting business called The Ligon Group. In this interview, Greg details how his Virtual Assistant (VEA) helps keep his multiple roles ordered and keeps him focused on the highest priorities that make the biggest impact. Today’s podcast will help collegiate leaders looking to delegate more so they can focus on what’s most important! What is a virtual assistant? An employee you can hire for at least 5 hours a week who can assist you with the administration and organization for leaders. Tasks that translate to a local ministry context: Travel, appointments, expenses, social media, blog posts, scheduling, family help, publishing, meetings, etc. The cost effectiveness of a VEA. The focus the VEA provides. Final words of wisdom about selecting the right VEA. Have some sense about what you want them to do. Be very upfront about how you like to work. 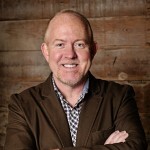 Greg Ligon serves as Vice President and Director of Multi-Site Church Leadership Communities for Leadership Network, which involves location visits to over fifty multi-site churches. A capable writer, he also coauthored The Multi-site Church Revolution and is Leadership Network's Publisher. He and his wife have two children and live in Dallas, Texas.